Welcome back to Constellation Friday! Today, in honor of the late and great Tammy Plotner, we will be dealing with the dove – the Columba constellation! Since then, thanks to the efforts of astronomer and explorers, many more constellations have come to be recognized. One of these is the constellation Columba (also known as “the dove”), which was discovered in the 16th century. Located in the southern hemisphere, this small constellation is bordered by the constellations of Caelum, Canis Major, Lepus, Pictor, and Puppis. Since Columba was unknown to the ancient Greeks and Romans, no mythlogy is associated with it, but its original name was Columba Noachi, which refers to the Torah’s and Bible’s Dove of Noah that was the first bird to find land after the Deluge. It could also belong to the story of Argo, where a dove was sent out to lead the Argonauts to safety between the clashing rocks. The legend of the dove is supported by the brightest star in the constellation – Alpha – whose name is Phact, Arabic for “ring dove”. Columba first appeared on the constellation charts of Petrus Plancius – a sixteen century Dutch astronomer and cartographer. In 1589, he created a celestial globe using what little information he could gather from the times explorers to help “fill in” the blank area around the south celestial pole. Columba was then introduced into a large wall map of the constellations in 1592 and later included in Johann Bayer’s Uranometria sky atlas. In 1920, it was included among the 88 constellations recognized by the IAU, where it has remained to this day. Columba has several major stars associated with it. The brightest is Alpha Columbae (aka. Phact), which is located approximately 270 light years from Earth. Phact is a double star that belongs to the spectral class B7IVe, and is omposed of a Be-type subgiant and a faint companion star. Its name is derived from the Arabic world Al-Fakhita, which means “the dove”. Columba is also home to several Deep Sky Objects. There’s NGC 1808, a barred spiral galaxy that is located approximately 40 million light years from Earth. Similar in many ways to the Milky Way, this galaxy has an unusual nuclear which is shaped like a warped disk and is believed to have a lot of star-forming activity within it. There’s also NGC 1851 (aka. Caldwell 73), is a globular cluster located approximately 39,500 light years away, and NGC 1792, a starburst spiral galaxy that also goes by the name Bulliens Columbae (or the “bubbling galaxy”). This is due to its appearance, which is characterized by the patchy distribution of dust throughout the galaxy and the way this dust is heated by young stars. Last, there’s ESO 306-17, a fossil group giant elliptical galaxy that is located at a distance of about 493 million light years from Earth. The galaxy spans about 1 million light years in diameter and is believed to have cannibalized smaller galaxies in its neighbourhood. Hence why it is designated as a fossil group, which refers to the fact that it is believed to be the end-result of a galaxy colliding and merging with a regular galaxy group. Columba consists of 1 bright star and 5 primary stars, with 18 Bayer/Flamsteed designated stellar members. It is bordered by the constellations of Lepus, Caelum, Pictor, Puppis and Canis Major. Columba is easily visible to viewers at latitudes between +45° and -90° and is best seen at culmination during the month of February. Get out your telescope and take a look at Alpha Columbae – the A symbol on the map. Here we have a a subgiant star – a star that has just stopped fusing hydrogen to helium – with an an apparent magnitude of approximately 2.6. Located about 268 light years from Earth, Phact is spinning rapidly… at a speed of at least 180 kilometers per second at its equator. That’s over 90 times faster than our Sun! This rapid rotation causes Phact to flatten at its poles and to spin off a low density envelope about twice its radius. Now, look closely you’ll see that Phact is actually a binary star system. Its faint companion has an apparent magnitude of 12.3 and is 13.5″ distant from the main star. Now aim binoculars at Beta Columbae – the B symbol on the map. Its proper name is Wazn the “Weight”. If you don’t think there is anything particularly interesting about this 86 light-year distant, spectral class K1IIICN+1, 3.12 magnitude star, then you better think again. This calm looking, core helium fusing giant star might be a little on the small side as giant stars go, but it is about 12 times the size of our own Sun and shines 53 times brighter. Of course, that’s not all that unusual either. Nor is the fact that Wazn is about 2 billion years old. What is really strange is that Beta Columbae is scooting along through space at a speed of 103 kilometers per second. That’s about six to seven time faster than what’s considered “normal”! Why? It’s a runaway star, just like Mu Columbae. Turn your binoculars toward the U symbol on the map and have a look. At 1,300 light years from our solar system, Mu is one of the few O-class stars that is visible to the unaided eye. Like Phact, Mu is a relatively fast rotating star that completes a full revolution approximately every 1.5 days. But Mu is also like Wazn – speeding along at relative velocity of over 200 km/s. Just where did these these two “runaways” come from? Chances are Wazn came from the other side of the Milky Way, while Mu may have originated from a binary star collision in Orion. Catch them while they’re still there! Now aim your binoculars or telescopes at 7th magnitude globular cluster, NGC 1851 (RA 5 14 6.7 Dec -40 2 48). This Class II beauty was discovered by James Dunlop on May 29, 1826 and cataloged as Dunlop 508. What you’ll find is a very rich, almost impenetrable core surrounded by a nice halo of resolvable stars in a delightful field. For a telescope challenge, try NGC 1792 (RA 05 05.2 Dec -37 59). Despite being billed at slightly fainter than magnitude 10, you’ll find the surface brightness of this spiral galaxy a little more in need of larger aperture. Noted as a starburst galaxy, NGC 1792 has a patchy distribution of dust throughout the galactic disc. The galaxy itself is abundant in neutral hydrogen gas and is in the star formation process. The barred spiral galaxy NGC 1808 is undergoing an episode of intense star formation near its very center, perhaps triggered by rotation of the bar or by material transported inward along the bar. This new star formation is somehow being organized into clusters of between 10 and 100 light years in diameter, and filaments of dark, obscuring dust are mixed in with the gas and stars. 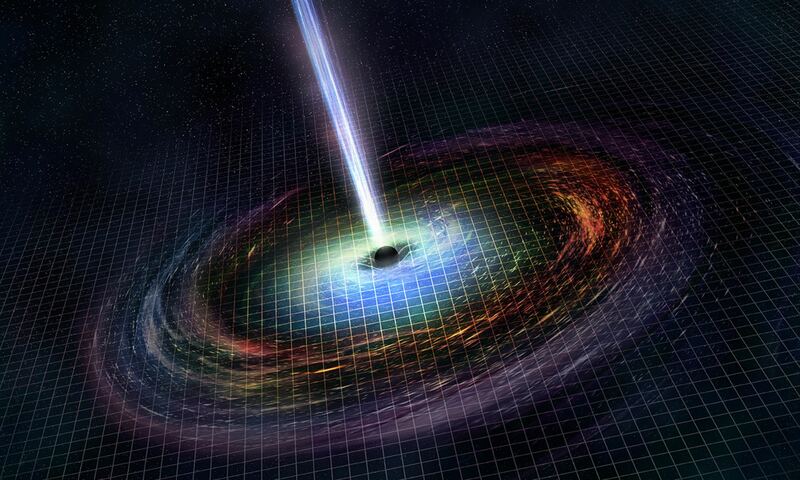 Thanks to studies done with the XMM-Newton and Chandra observatories, they have directly proved the co-existence of thermal diffuse plasma and non-nuclear unresolved point-like sources associated with the starburst activity, along with a Low Luminosity Active Galactic Nucleus (LLAGN) or an Ultra Luminous X-ray source (ULX). What a show! Now try your luck with galactic star cluster NGC 1963 (RA 05 32.2 Dec -36 23). While it is not a very rich and populous star cluster, it is an interesting stellar association of perhaps two dozen stars arranged in chains over a wide field with a size of 10.0′. Look for an asterism that appears like the number 3!